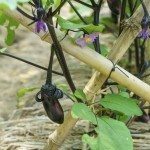 Eggplants are native to India and require a long, warm growing season for optimal yields. They also need the appropriate eggplant distance in gardens to achieve the greatest production. So how far apart to space eggplants for maximum yields and healthy plants? Read on to learn more. 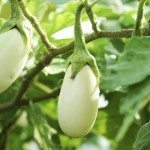 Eggplant has a growing habit similar to that of a tomato; however, eggplants are planted closer together than tomato plants and some varieties don’t need to be staked. There are also smaller eggplant varietals and ornamentals that can be grown in containers. Either way, the proper spacing between eggplants can be crucial in the amount of fruit they set. How Far Apart to Space Eggplant? 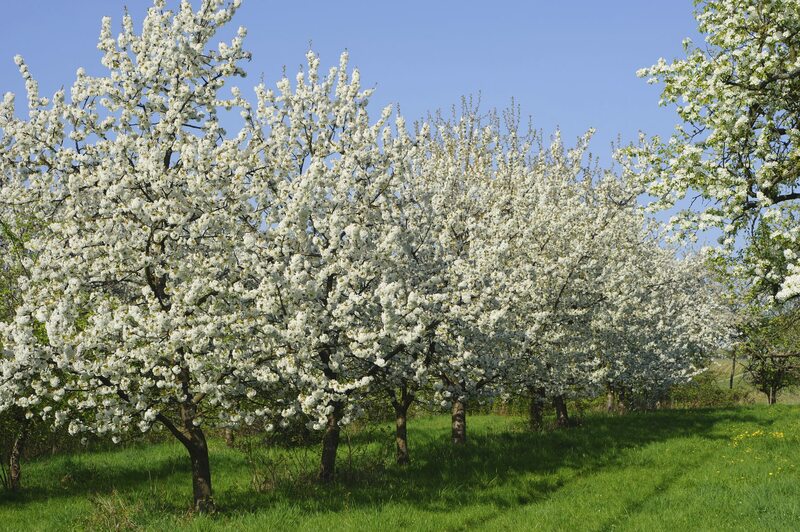 Whenever you plant a garden, some consideration and planning should occur in deciding where to set certain plants and drafting how far apart they need to be to maximize the use of the plot. 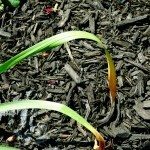 Plants set far apart waste much needed space in the garden, while those set too close together vie for light and air, effectively decreasing your potential crop. Plant your six- to eight-week old eggplant starts outside after all danger of frost has passed in your area. Choose a site that gets at least six hours of full sun per day — more is preferable. Eggplant distance in the garden should be 18-30 inches apart. Two feet apart is fine, although 2 ½ feet apart will keep you from accidentally breaking branches as you are harvesting your eggplant fruits. If you are planting lots of eggplant and need rows, leave an area 30-36 inches between the rows. If you are short on space but adore eggplant and want to plant your own, plant them in containers on a sunny deck or patio. Single eggplants can be planted in a 5-gallon container. Multiple plantings can go in a long planter with at least 18 inches of width. In this case, space the eggplants 18-24 inches apart or for dwarf varieties, 16-18 inches apart. If you wish to companion plant among the eggplant, for instance, with nitrogen-boosting legumes, leave enough space for both plants — about 18-30 inches from each plant. For blooming annuals, plant 6-8 inches from the base of the eggplant. Once you have transplanted your eggplant babies, fertilize and use nitrogen rich side dressing around the plants, again when they are half grown and one more time right after you harvest the first fruit.